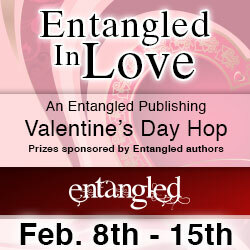 Click here to check out what the other authors are giving away during the Entangled In Love blog hop! Welcome to the Entangled blog hop! My first Entangled book, AGAINST THE WALL, will be released this month. The book features a spunky golf course designer who butts heads with a stubborn lawyer who moonlights as a cowboy. Never challenge a cowboy in the courtroom! As soon as I can post the cover and buy links, I will. For now, Happy Valentine’s week! I met my husband when I was six years old and he taught me to play Red Rover so he could hold my hand. He was a sweet kid—dark hair with huge brown eyes. We lost touch for a while, and in my twenties, I walked into a bar. He’d gone from a sweet little kid to the guy your mama never wants to see you bring home. Of course, Tony is Tony…and my mama loves him. Always has, always will. Our first date was a motorcycle ride. Of course, he let me wear the helmet. He may have had to sell the motorcycle to pay for our son’s hospital bill when Gabe was born, but fifteen years and two kids later, Tony is still sexiest thing I’ve ever seen. And he is SO going to roll his eyes when he reads this. I hope your Valentine’s Day is full of romance and fun! Have a great time on the hop, and I hope you win a prize or two. Oh – for my prize…leave a comment on the blog here, and I will send you the first PDF file of AGAINST THE WALL that I receive. We usually get PDF copies to send to reviewers, so I’ll send one to a randomly drawn name from commenting here. Thanks for stopping by! I just love your books. !!! What a great Valentine memory. And we get to reap your rewards. Thank you for a chance to win. omg that is a hot romance in itself, Rebecca!!! You are one lucky lady….Love my 6 ft tall irish soul mate too! Now three sons later..we are still very much in love! Happy Valentines Day! I really look forward to your new book! I absolutely love your own story! I decided to start writing romance simply because my own story was sooooo miserable/frustrating/challenging! (divorced, 4 kids, need I say more). Enjoy your tall Italian and write more – I’ll definitely be looking for your book! Cheers on your career and your family! What an awesome love story! It’s always fun to see how people meet and fall in love! Can’t wait to read this book. Have loved all your other books I have read. I loved the starting of your story about your meeting with your husband. But let me beat it…. I walked into a prison… my future husband and I both worked for Texas Department of Criminal Justice…. I can’t wit to read your new book. I love you books. love your books, waiting on tender hooks for your new book. You are so right your Husband is going to roll his eyes at your charming comments ! That is a sweet story. Can’t wait to read your next story. Happy Valentine’s Day to you too! Would love to read/review Against the Wall, Rebecca! Thanks for the opportunity to do so. Ha, that’s a fantastic love story! 🙂 Can’t wait to read more from you. I’ve loved all I’ve read so far. Happy Valentine’s Day to you. That is a fantastic story to go with a fantastic author!! Can’t wait to read your new book! Love your, how you met your husband, story ! Can’t wait for the new book! Love your work. All your stories are amazing and I look forward to reading this new one. Have a wonderful Valentine’s Day! Alone on Valentine’s Day my 3ard but I was so so lucky to have the Love of a Life Time for 35 years! I can not wait till the new Kahrs book is out. I love this series! Happy Valentine’s Day! Your story was great! I can’t wait to read your PDF Book! Cant wait for Against the Wall and have preordered the latest Dark Protector as well!! Happy Valentines Day to you and Tony! Tell him hello from Tiffany Robinson. Happy Valentine’s Day! I love reading your books. So addicting. 🙂 can’t wait to read this new series. I love hearing on how people met their special someone. Thank you for sharing! What a great love story, 🙂 Super excited about you having a new book coming out, love all your books. Hope you and your sweetie have a very Happy Valentine’s Day!!! That was very romantic! I met my husband at a wedding. He was a Groomsmen and I was a Bridesmaid. We were the only two “single” people in the wedding so we got paired together. He asked me to dance and that was it! We have been married for 16 years with two beautiful children! Thank you for telling us about Tony… I got out my crystal ball.. did a little lookin’ and I predict he will read your blurb, he will roll his eyes, then he’ll grab you and kiss you silly. I love love your books, looking foward to the new reads!!! I can’t wait to read the new series! Sounds awesome! Hey Bec….loved the story on how you met Tony. My love story began almost 23 years ago with a soldier. 3 kids and a whole lotta moves later and I’m still living my bliss in beautiful Northern Idaho. So looking forward to the continuation of Dark Protectors and even more so for your new series!